From milk and merino to wine and tourism, The New Biological Economy talks about how New Zealanders are transforming how we make a living off our land. The book takes readers out on to farms, orchards and vineyards, and inside the offices and factories of processors and exporters. For over a century, New Zealand has built its economy through a series of commodity-based booms – wood, wool, beef and butter. Now the country faces new challenges. The book considers key issues: by doubling down on dairy farms, aren’t New Zealanders destroying the clean rivers and natural reputation upon which the country’s primary exports (and tourism) are based? Further, in a world where value is increasingly rooted in capital and technology intensive industries, can New Zealand really sustain its high living standards by growing grass? This book, by University of Canterbury Emeritus Professor Eric Pawson, takes readers out on to farms, orchards and vineyards, and inside the offices and factories of processors and exporters, to show how New Zealanders are answering these challenges by building The New Biological Economy. From Icebreaker to Mr Apple, from milk and merino to wine and tourism, from high-end Berlin restaurants to the shelves of Sainsbury’s, innovative companies are creating high-value, unique products, rooted in particular places, and making pathways to the niche markets where they can realise that value. Eric Pawson is an emeritus professor of geography at the University of Canterbury, recipient of various awards (Distinguished New Zealand Geographer Medal, 2007; National Tertiary Teaching Excellence Award, 2009; University of Canterbury Teaching Medal, 2013), and co-author or co-editor of Making A New Land: Environmental Histories of New Zealand (OUP, 2013); Seeds of Empire: The Environmental Transformation of New Zealand (I.B. Tauris, 2011) and many scholarly articles. 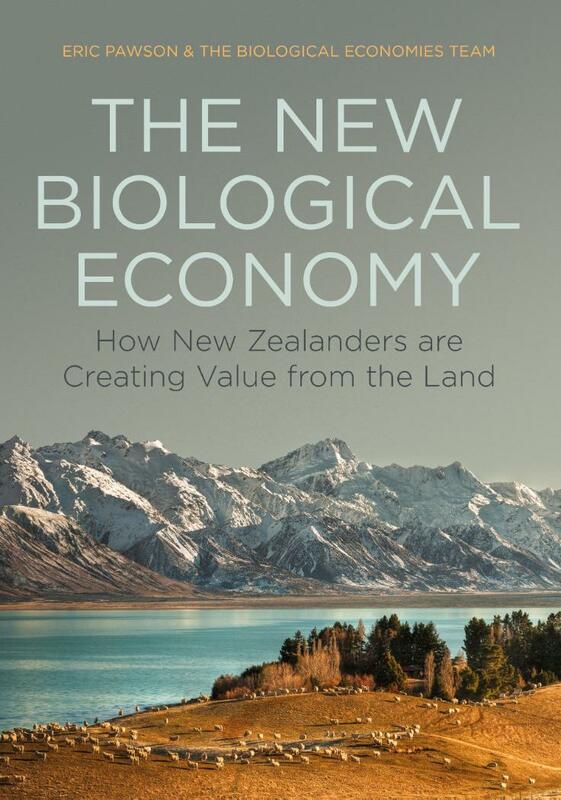 The New Biological Economy: How New Zealanders are Creating Value from the Land, By Eric Pawson and the Biological Economies Team ($45).